What does recycling a single glass bottle get you? You could power a 100-watt light bulb for up to 4 hours. You would also power a television for 20 minutes. Now imagine if everyone in the country recycled a glass bottle today? That would be an amazing amount of energy saved. Swapping out recycled glass for half the amount of glass made from raw materials can reduce pollution by up to 80%. Where else can you recycle? Candy. That foil wrapper that Hershey’s Kisses comes in is totally recyclable. Most of the other candy wrappers can also be recycled. Check those labels. They might be using recycled packaging already. What about newspapers? Recycling one run of a newspaper can save 75,000 trees. If everyone recycled all their newspapers, then we could probably save up to 250,000,000 trees each year. Not a lot of effort to drop your newspapers into a recycle bin, right? But why stop there? 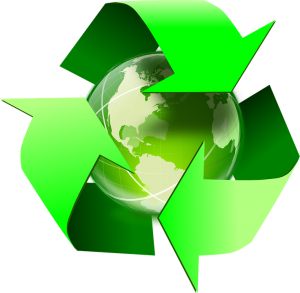 You can also recycled flyers, junk mail, letters, bills, and packaging from food items are all everyday paper-made things you could be recycling instead of throwing in the garbage. That will all have a huge impact on the environment. Where else could you be recycling? What about all the junk you want to get rid of from around your house? The moment something becomes broken or you’re simply done with it, then it has become junk. Are you looking to get rid of things like an old couch or mattress? What about a busted washer or fridge you’re keeping in storage in the garage? All of that can be recycled if you hire the right junk hauling company. That would be Junk King Detroit. Junk King Detroit is part of a national chain of professional junk haulers who have been in this line of work since 2005. Since their inception, Junk King has been dedicated to an eco-friendly way of getting rid of the junk they collect. The crews are all trained to spot those items that can be recycled or donated. It might mean an extra drop off but that is a trip Junk King is happy to make. Step up your recycling game by hiring Junk King Detroit to haul away your rubbish today. This entry was posted in Detroit Junk Removal and tagged junk king, junk removal, recycling on November 30, 2017 by Junk King. Last updated December 2, 2017 .